ThorpyFX has a fascination with Vintage Effects however, like a good recipe they often think you can add your own take on things and improve the original. Think of it like adding bacon to a good burger, instantly improved! So ThorpyFX started to think about some vintage effects and how they could improve them. The first of the releases in their "Reimagined Series" is the Chain Home. The original Chain Home was the codeword given to the British Radar protection network that was used to locate enemy bombers during WWII. They thought it was an apt name for the pedal because the Chain Home is a Tremolo that repeats your signal using a sawtooth waveform, much like the old Repeat Percussion pedal. However, unlike the old vintage units the Chain Home has much more about it. From the tremolo side, the pedal can go much slower and faster than the original, the depth can be subtle adding an interesting wash to your notes, or it can be as in-your-face as you like, all the time remaining musical. 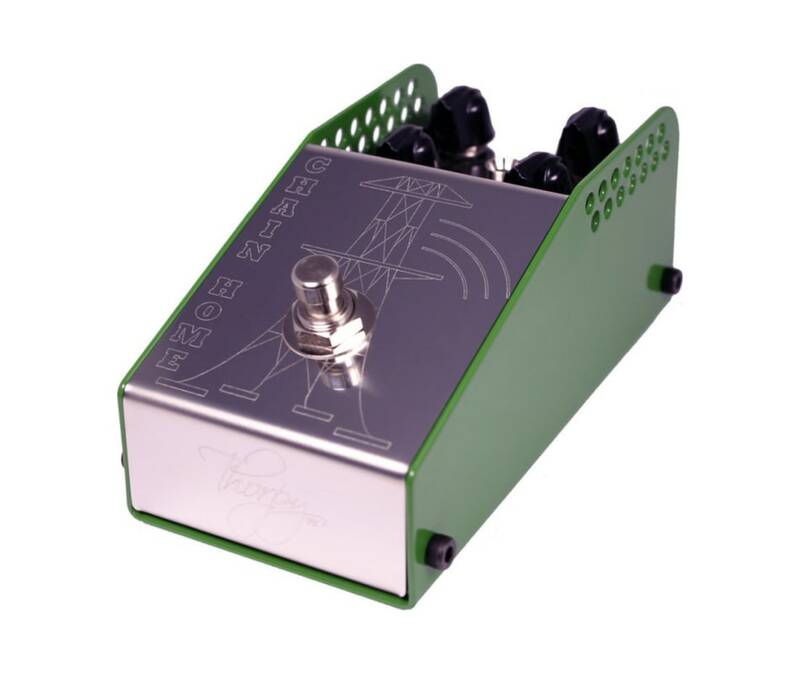 Internally the pedal is immaculately built using premium 1% metalfilm resistors, Wima and Panasonic capacitors, and Neutrik jacks. These are the creme de la creme of the electronics world and when coupled with a robust gold plated PCB and dust sealed potentiometers the recipe is as good as it can possibly be.